It’s been a long time since I’ve shared a Flannel Friday idea. 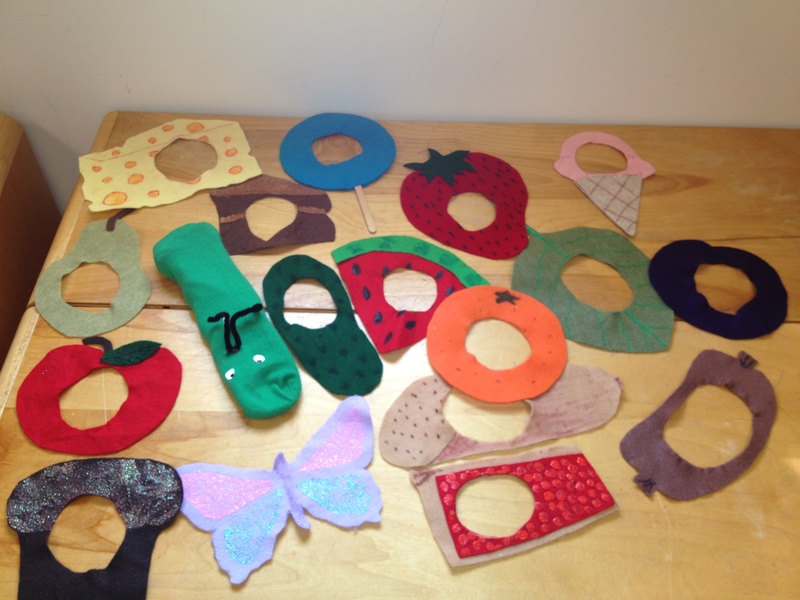 But I’m back with a beautiful felt version of Planting a Rainbow by Lois Ehlert and I have a fun felt board about socks in the works that I plan to share just as soon as my family finishes up a square box of tissues that I want to use to make a washing machine which would be used with the socks. Fortunatley we haven’t had runny noses lately! I looked online for coloring pages of many of the flowers mentioned in this story to use as patterns to make my felt pieces. 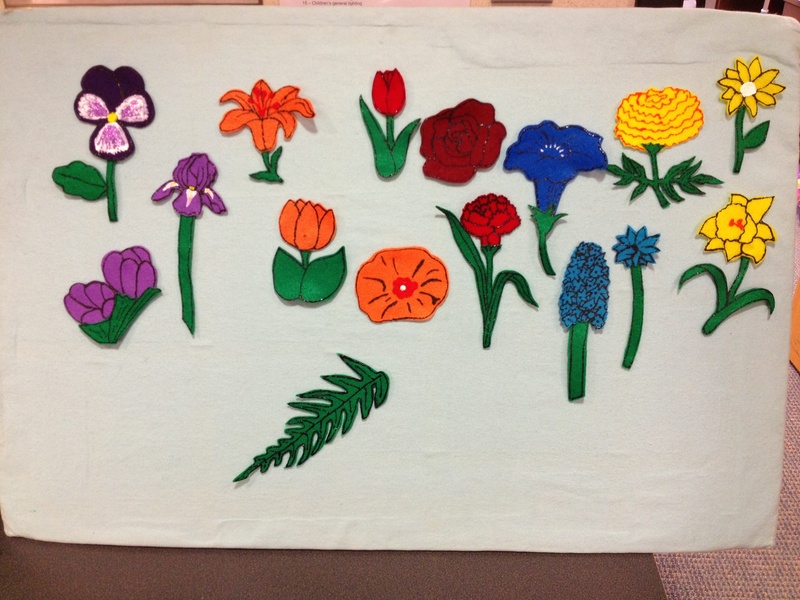 I wanted the feltboard to really look like a beautiful and colorful garden once all the pieces were in place. This past week, my storytime theme was baking, which is one I like to do around this time of year when everyone is busy baking delicious treats for the holidays. 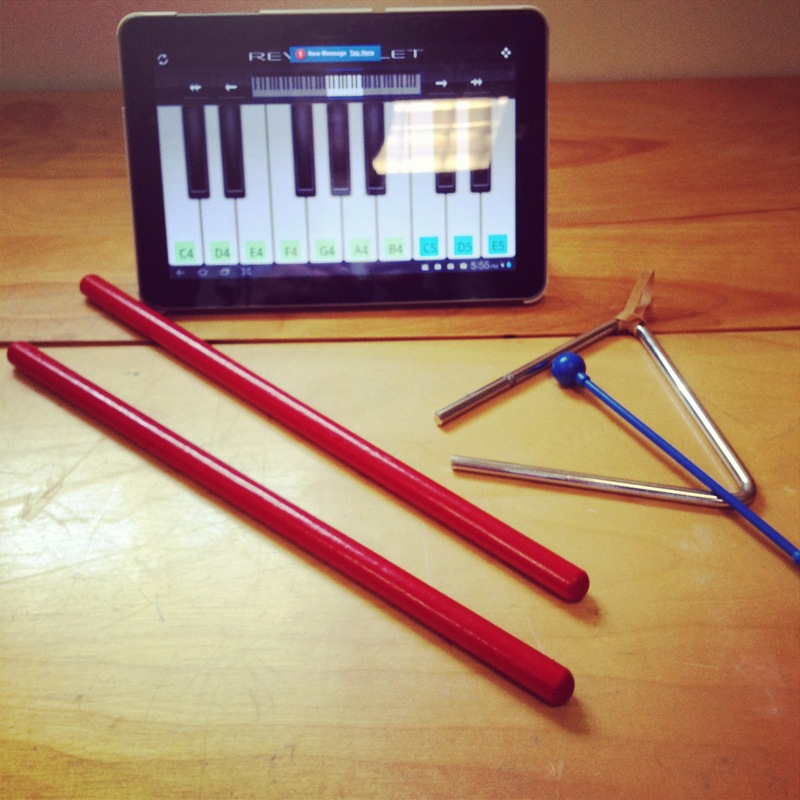 I have several fun activities to share with you that I love doing at this program. It’s such a magical storytime and the kids always enjoy it so much. I made a cute little oven out of a shoe box covered in stainless steel looking contact paper. I added construction paper burners and oven door. Stored inside, and ready for any storytime, are all the supplies you need to make some delicious pretend cookies (I can’t fit the mixing bowl and spoon, however). In the box is a recipe card, pretend flour (I just printed off a flour box and stuffed it with cotton), a sugar bowl, cup of milk, salt (old film canister), ginger, a plastic egg, tub of pretend butter, measuring cups and spoons, cookie cutters, piece of felt to be the batter after mixing, rolling pin, baking pan, oven mitt, timer, sprinkles, and pretend frosting bag, flat cookies, stuffed cookies that are decorated on one side. We discuss why a recipe card is important and what usefull info you can find there. Before class, I make sure to have the square of tan felt (the cookie dough batter) already in the mixing bowl, so when after the ingredients are added all you have to do is dump the felt batter out, I put our felt board on my lap to act as a table for the kids to roll out the dough on. Each kid takes turns adding ingredients, stirring, rolling out the dough and making the shapes with the cookie cutters. Then I put the flat cookies on the pan and put it in the oven and set the timer for 2 minutes. (secretly dump off the flat cookies at this time and put the stuffed ones on the pan-the stuffed ones should be hidden in the oven before class starts) I’ve found that with practice you can time this perfectly so that the timer ends as soon as you are done reading Maisy Makes Gingerbread by Lucy Cousins. When the timer goes off, I grab my oven mitt and pull out the cookies! Mmmm, they are so yummy and puffy now! But before we are all done we have to make them look beautiful. I have the kids take turns adding frosting and sprinkles. 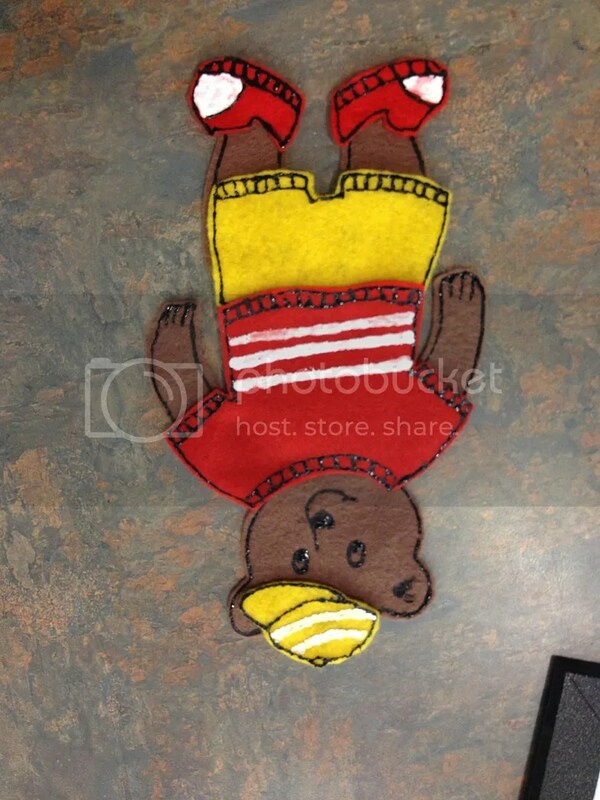 This activity never fails to delight both children and adults alike at storytime. 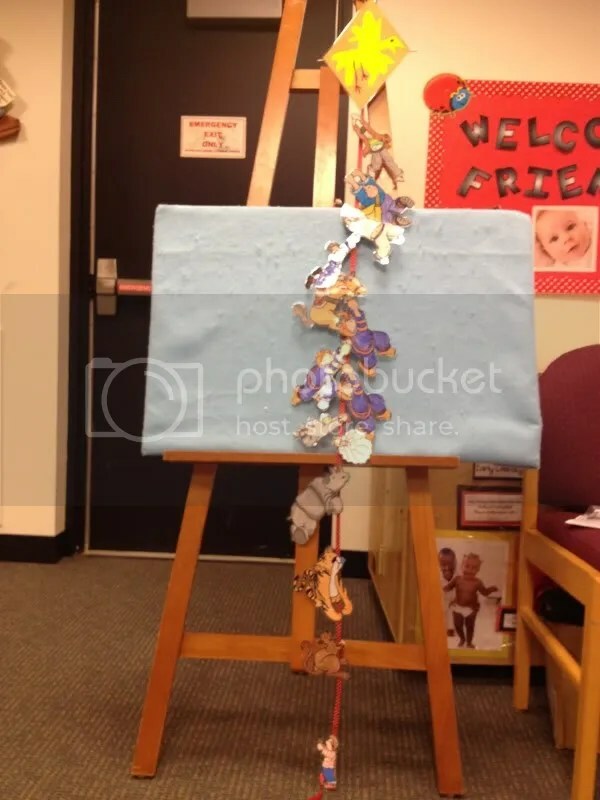 It works great for all size groups, with larger groups each child takes a turn doing one thing, with small groups kids can have multiple turns adding ingredients, stirring, rolling, cutting out cookies, and decorating them. The other felt board I want to share with you today is a brand new one I added this past week based on the book Cupcake by Charise Mericle Harper. I’ve been so excited to share this Flannel Friday since last winter when the Flannel Friday community first shared several flannel versions of the poem Rudolph, Rudolph. 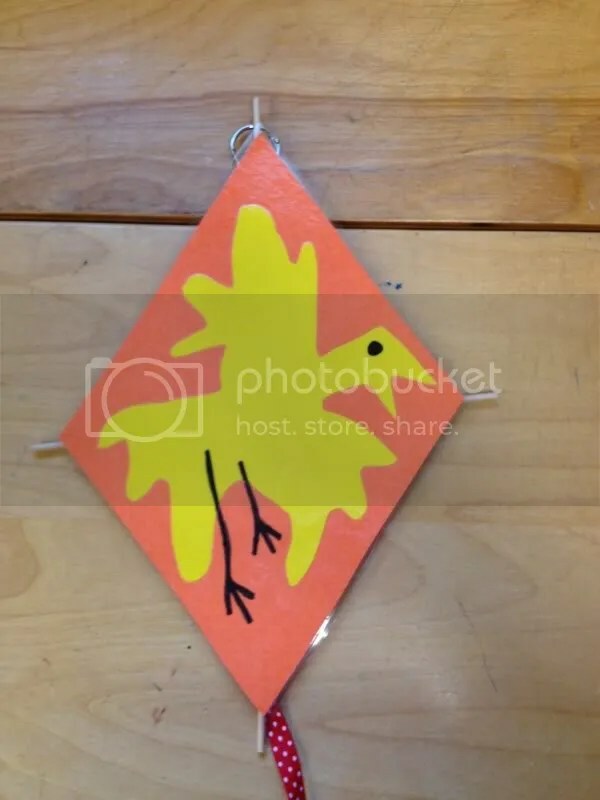 My daughter received a greeting card last year with an LED light element to it that turned on when you squeezed the corner of the card. My husband (who is really good at finding random uses for LEDs – from lighting up my packing tape snowmen to glowing cat eyes on a Halloween costume) helped me pull the light out of the card and remove everything not essential to make it work. push button accessible to make the light turn on. 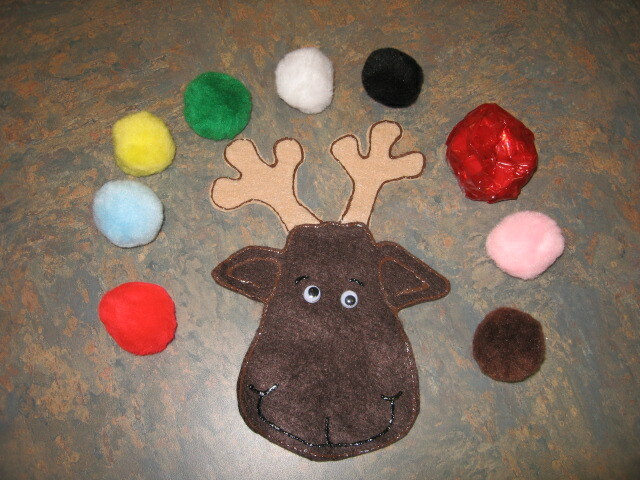 I added a little velcro to the back so it would stick to Rudolph’s nose. It’s a huge hit at storytime! You’re such a silly fellow! If your nose is pink! It’s time to fly at night. It’s time to go to town. I’m so excited to be back to Flannel Friday again! After a long summer off from storytimes, and a fal that’s been too busy to post my latest flannel boards, I am ready to jump in again! 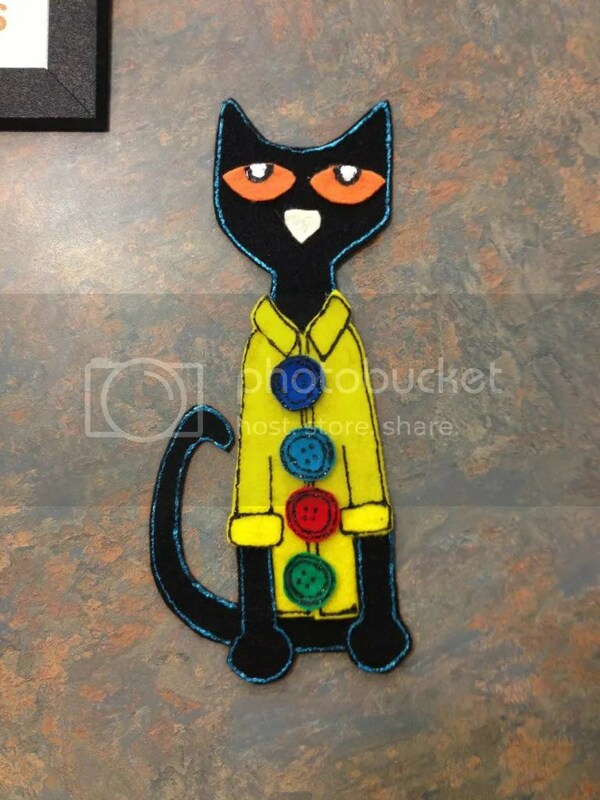 I just loved this book, as well as all the Pete the Cat books, and was so excited to make it into a felt board. 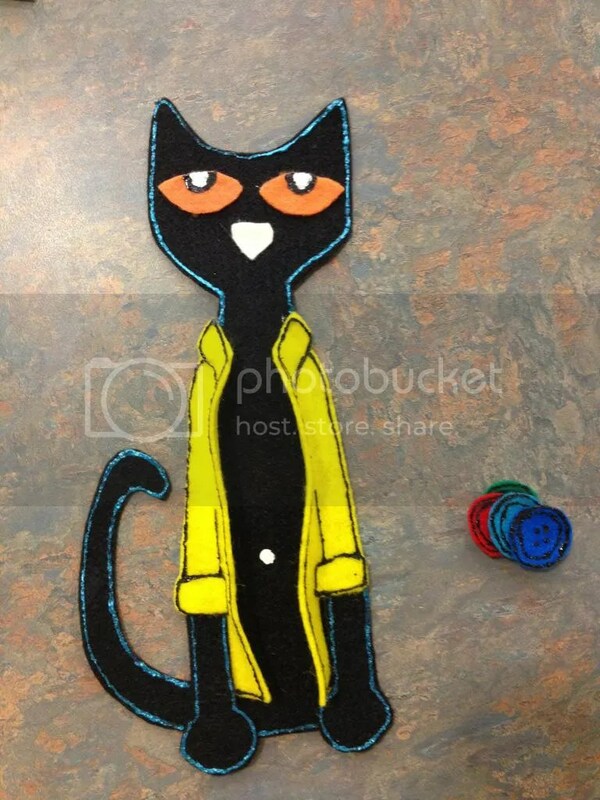 I found the felt board pattern from Making Learning Fun. 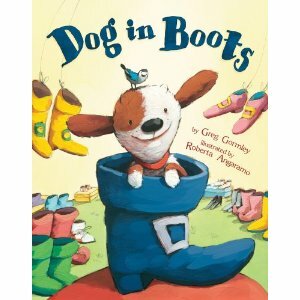 The other new book I was excited about was Dog in Boots by Greg Gormley. My daughters both love the movie Puss in Boots so this book was right up their alley. 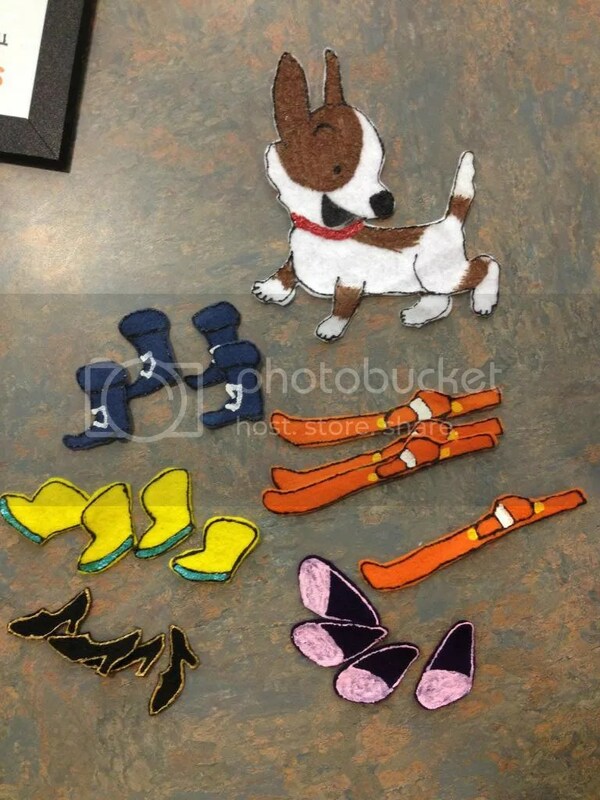 Especially for my 3 year old who LOVES dogs more than anything. This year she is going to be Lady from Lady and the Tramp for Halloween! I only had one storytime this week as I am off on Thursday for my oldest daughter’s spring concert at school. But it was a perfect day to do this theme since it was SUPER windy all day. 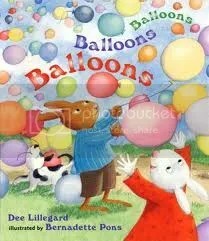 We read stories about balloons and kites. Along came another, then there were two. Along came another, then there were three. Along came another, then there were four. Along came another, then there were five. What a sight to see, way up high! 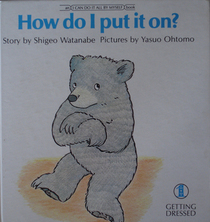 I had two felt stories for this theme. 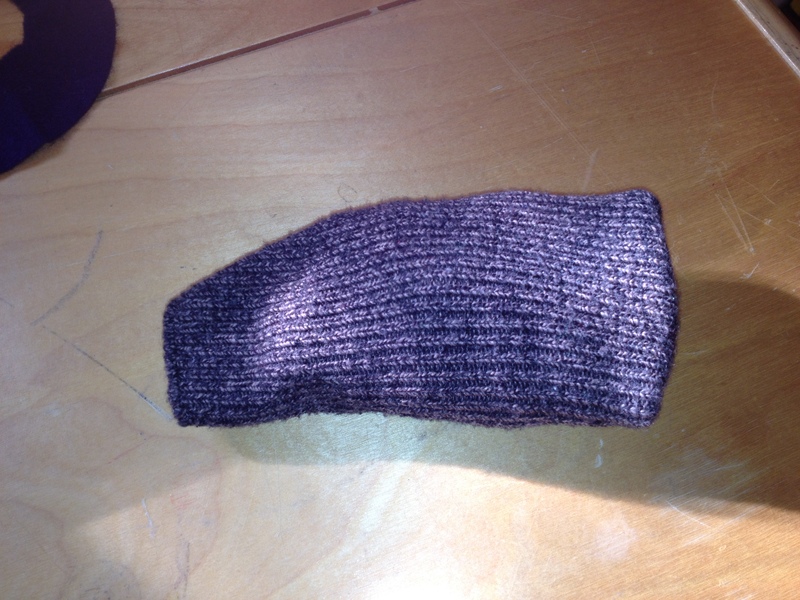 The first is the typical felt board and the second is more of a string story. 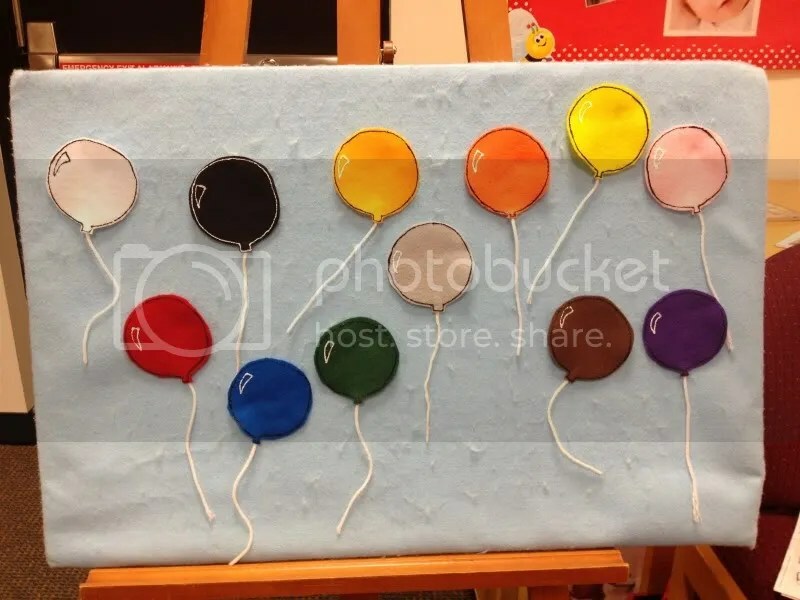 “Snap Snap, Clap Clap, Balloons Balloons Balloons.” For the “Snap” I just had them slap their legs, since it’s hard for little ones to snap. 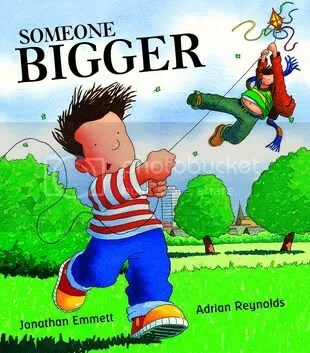 Then we read a really cute book called Someone Bigger by Jonathan Emmett. 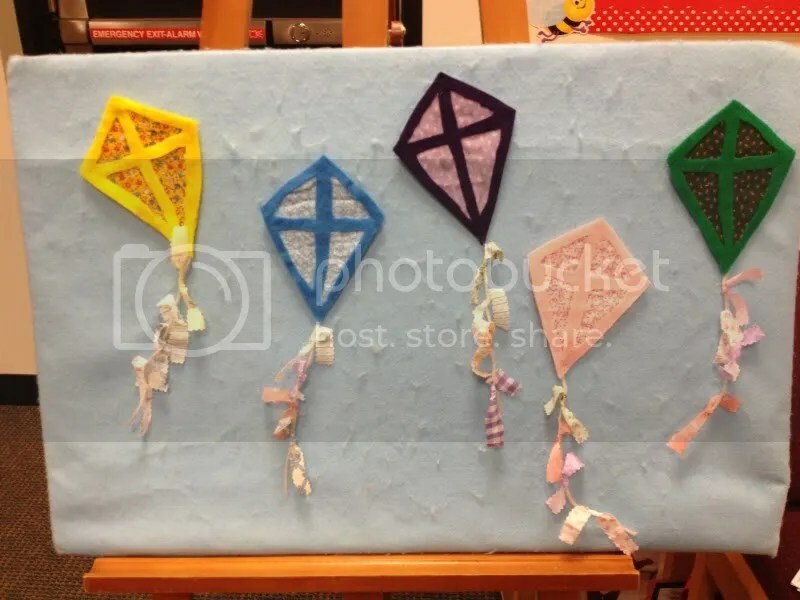 This is a cute story about a little boy who wants to fly a kite but his dad thinks he’s too small. 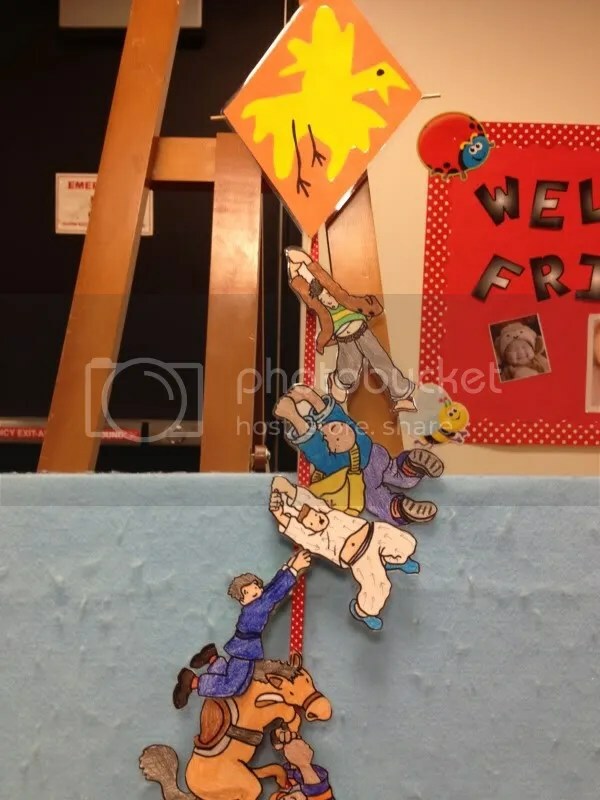 The dad, however, gets pulled up by the kite and all sorts of people and animals from the town grab on to the string to help pull him down and they are all pulled up as well. 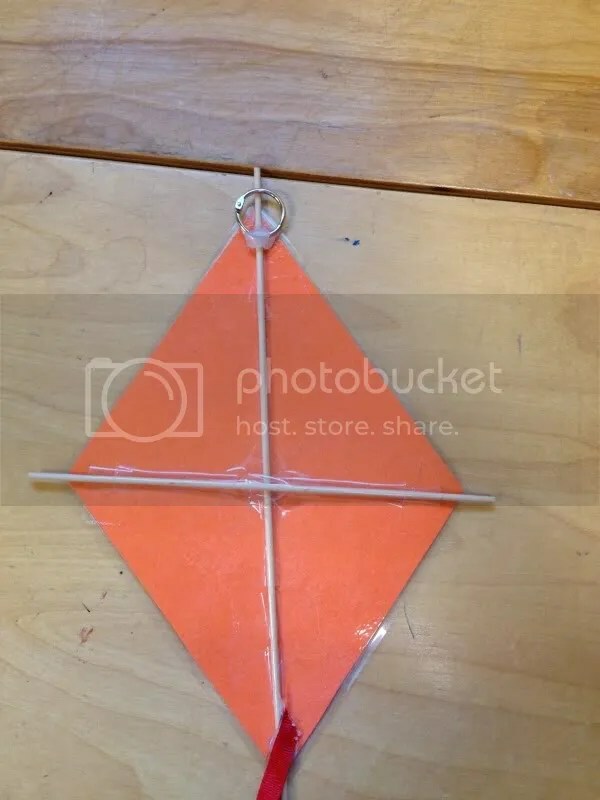 At the end it is only the little boy who is able to hold on to the kite without being pulled up! Kay from librarystorytimeabcs is hosting the Flannel Friday roundup today.